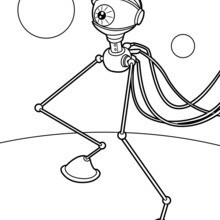 Robots is a movie adventure that takes place in a wonderously clanky world populated by mechanical beings. 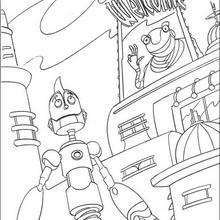 Rodney, who is a talented inventor moves to Rivet City to get a job to help his dad and at the same time follow his dream of working as an inventor for Bigweld Industries. 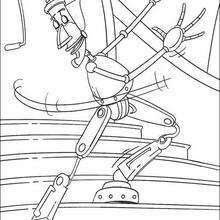 During Rodney's journey he meets many challenges but remembers Bigweld's slogan "see a need, fill a need", to eventually become the Rivet Town hero. 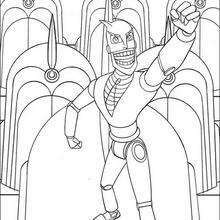 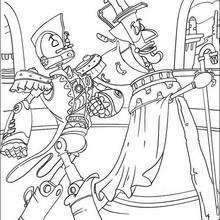 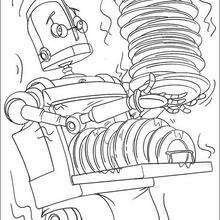 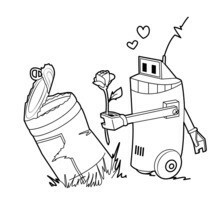 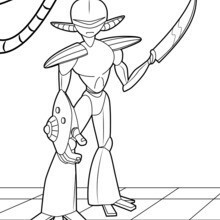 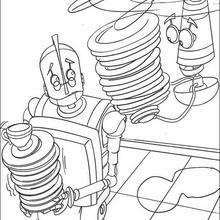 You will enjoy Welcome to Bigweld Industries coloring page to decorate online with the interactive coloring machine or print to color at home. 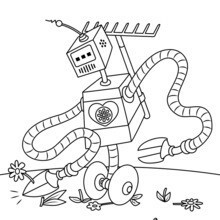 You will discover a universe of robot coloring pages, activities and fun entertainment from Hellokids.